Solana Energy offers an unparalleled opportunity for contractors to implement the integrated hybrid commercial energy platform. Why do an energy project piece-meal? 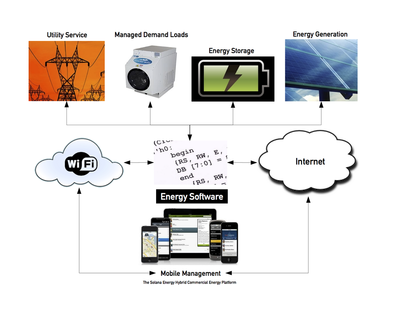 Solana Energy offers the contractor the capability to integrate energy equipment, hardware and software into a complete turnkey solution encompassing efficiency, controls, self-generation and systems management. Solana supplements the contractor with planning, engineering, commissioning and financing allowing the energy contractor to focus on materials, logistics, labor, schedule and quality of workmanship. Commercial business and property owners are seeking integrated energy solutions. With Solana Energy as your partner, you become the solution provider.